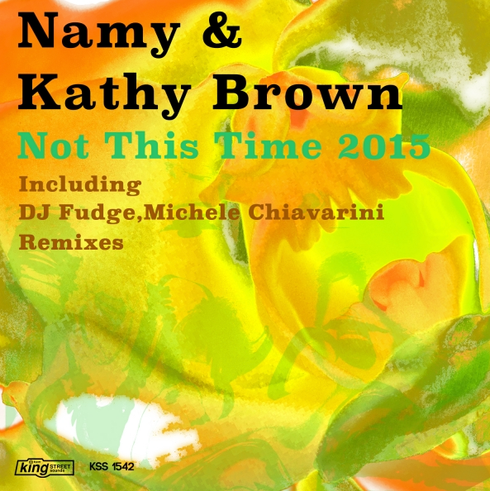 Japanese DJ/Producer Namy and legendary female vocalist Kathy Brown's track ‘Not This Time 2015’ gets four brand new re-works for King Street Sounds. French born, Hong Kong based DJ/producer DJ Fudge opens and delivers both his Classic Remix and Instrumental soulful house remix to keep feet dancing and hopefully dancefloors full. London based dance music producer Michele Chiavarini slides in next with both vocal and instrumental remixes that should appeal to soulful house fans around the world. Check it out below, it’s out 8 August.